Improves your business offer to suit your needs. We offer a wide range of services and modern solutions whose main purpose is to provide you with comfort, safety and facilitation of everyday duties. Durham Taxis near You, near me!!! Durham Drivers Taxi - call now !!! We provide taxis transport services to both private and corporate customers and for all occasions. Our on-going investment in cutting-edge dispatch technology ensures that our customers are always in the driving seat in regards to their travel plans, simply a stress-free journey that is unrivaled in terms of cost, comfort and safety. We offer fleets well-maintained and timely service taxis to serve you with your transportation needs. We have experienced drivers taxis to pick you up at your door and take you to your destination. Our specialties include round the clock service & on-time service, safety and comfort. We care for your time and money and we are dedicated to provide the best transportation experience to every client who chooses to ride with us. We have the facilities and resources to fulfil your requirements, no matter where you are in the County Durham, or where you want to go. Need a taxis to Newcastle International Airport or taxis to Tees Valley? No need to stress, our airport taxis transfers get is the perfect way to get to your terminal on time. Baggage? Not a problem, just enter you travel information and we'll make sure that two get the best quotes at the best price for your journey. Durham Drivers Taxi are able to offer a reliable student service to every student needing to move things their from student accommodation or university campus. You're moving a few things around Durham we can help and make it stress-free. All our drivers have passed the Durham County Council Hackney Carriage Knowledge test. You can trust our drivers. Each one has been DBS checked. (The Criminal Records Bureau and the Independent Safeguarding Authority have merged into the Disclosure and Barring Service. CRB checks are now called DBS checks.) All our staff and drivers have an intimate knowledge of the city and you will find them to be very friendly and professional. Travelling through public transportation can be quite stressful at times. Aside from being crowded, public transportation can be time consuming and expensive as well. You also need to move according to their schedules. With Durham Drivers Taxi, you don’t need to worry about catching trains, we are always available to provide the privacy and comfort you need while travelling to your destination. Whether you’re in Durham for a vacation or for business, you surely want to make your stay in the city as comfortable and fun as possible. Hiring a taxi to drive you around the city is the most comfortable means of transportation you can get, but you need a reliable service provider to do so. Durham Drivers Taxi is dedicated to making your transportation as convenient and smooth as possible with our affordable and exceptional taxis service. Exclusively to businesses within Durham, our corporate business taxis account service make life easier for companies needed to transport staff from A to B, or have important small packages delivered. Taking people to meetings, transfers to the airport, collecting important business clients, delivering important documents – whatever business reason you might have for needing a taxis – we’re here to help. All our corporate accounts are given higher priority on our booking system, meaning less waiting time. Durham is a historic city and the county town of County Durham in North East England. The city lies on the River Wear, to the west of Sunderland, south of Newcastle upon Tyne and to the north of Darlington. Founded over the final resting place of St Cuthbert, its Norman cathedral became a centre of pilgrimage in medieval England. The cathedral and adjacent 11th-century castle were designated a World Heritage Site by UNESCO in 1986. The castle has been the home of Durham University since 1832. HM Prison Durham is also located close to the city centre. City of Durham is the name of the civil parish. Presently, Durham Castle is home to students of Durham University as University College. The University is steeped in history and is the only University, other than Oxford and Cambridge, to operate the collegiate system in the UK. Several of the colleges have historical backgrounds, like the St Cuthbert’s Society and the College of St Hild and St Bede, keeping the past alive. 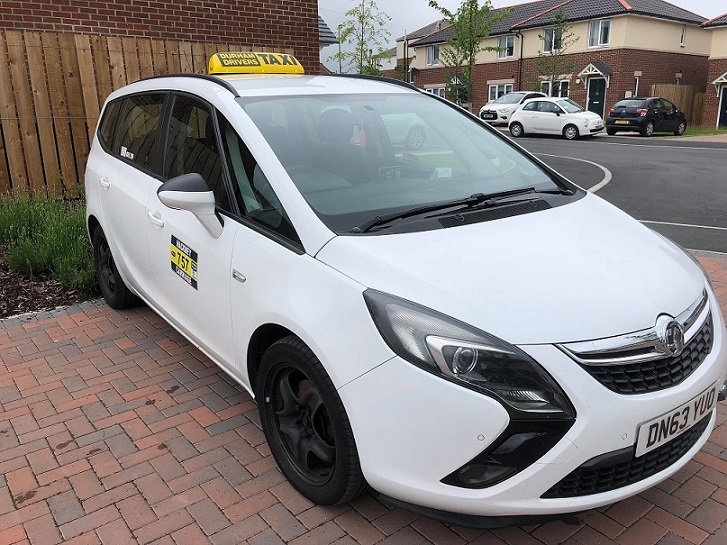 Durham Drivers Taxi is new taxi company in Durham. Based on previous experience and great driving skills we offer you the best quality and comfort of tavel. Thanks to the knowledge of County Durham area our drivers will take you the shortest possible route, so that you can make it on time. We are working hard and never give up in looking for better options, better service and better prices. You can find us at the taxi stand (taxis ranks) and visit our facebook, Twiter page. Keep calm and try our taxis today!!! *Promotion taxis starts 1st December 2018 and ends 31th Martch 2019.